Home » Facebook » How Does Facebook’s Search Work? How Does Facebook’s Search Work? Most people don’t understand Facebook’s Search feature. Turn to the person next to you and ask that individual how Facebook Search works. That person, confused, will likely stare blankly at you. Like the algorithm, Facebook’s Search is an enigma to many. People know they exist, but they don’t know how it functions. They don’t know, for example, what influences search results and what type of content are available to be discovered. Facebook Search is nowhere near as sophisticated as Google. 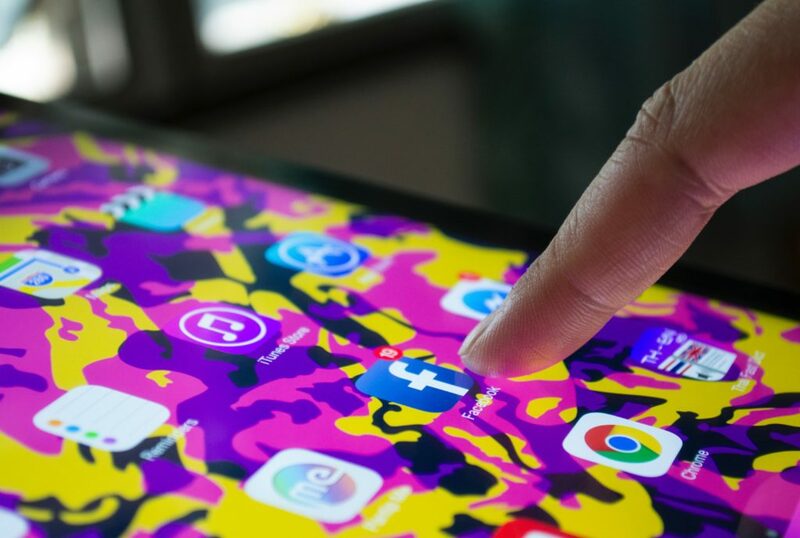 While Google retrieves information from the entire world wide web, Facebook Search retrieves only content within its platform, content shared and posted on Facebook. Like all search engines, Facebook Search retrieves results based on the keywords you use. Type in “Mark Zuckerberg,” and results bearing those keywords will appear. Similarly, type in “pizza,” and content with that keyword will appear in results. The results from those categories will appear in one long string of content, similar to how posts appear on News Feed. You can click the 11 categories above the feed to narrow your results to a specific category. You can also filter your results. Search results have three influences: your activity on Facebook, people’s activity on Facebook, and your search history. 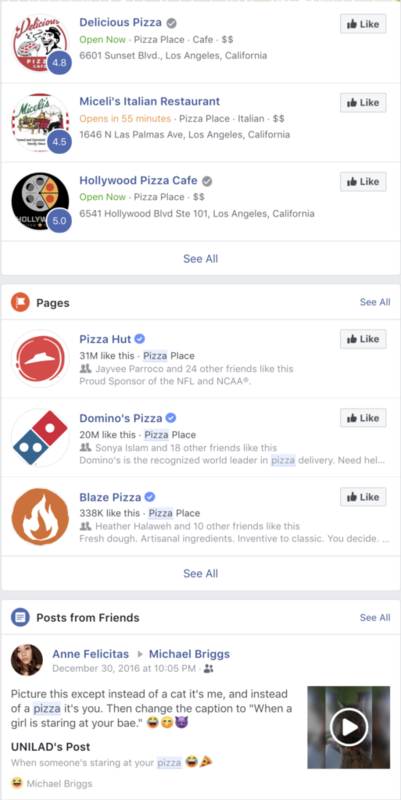 To illustrate how my Facebook activity affects search results, let’s return to the pizza example. 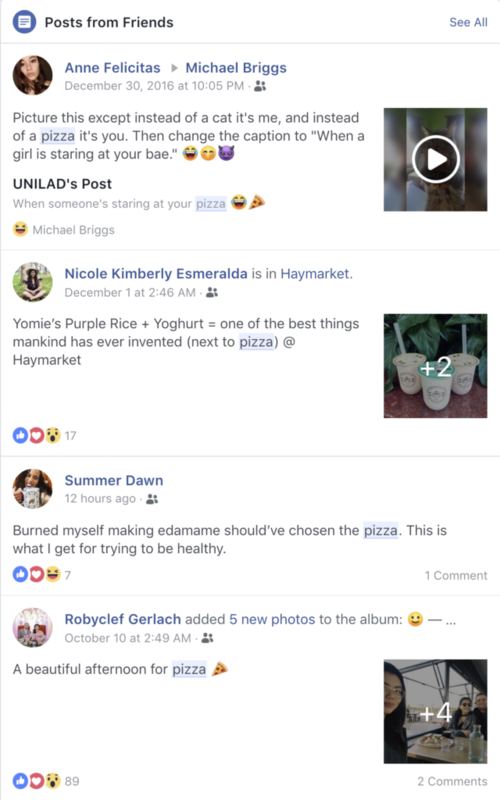 In 2016, I posted a video to someone’s timeline containing the keywords “pizza.” This Facebook activity appeared on my search results because the keyword “pizza” matches the word “pizza” from my post’s copy. As seen in the results, my post isn’t the only one that appears. Search also retrieved posts by my Facebook friends. As I scroll further down, posts by public pages also appear. If I searched for a specific keyword in the past, and if I clicked on a specific type of content from the search results, that content will appear once again. For example, the business 1-800 Flowers, which I previously searched for, appeared on my results after typing in the keywords “flowers.” Facebook notes my previous search activity as interest on the business. Thus, it includes 1-800 Flowers to the results, ensuring I get the information I want. 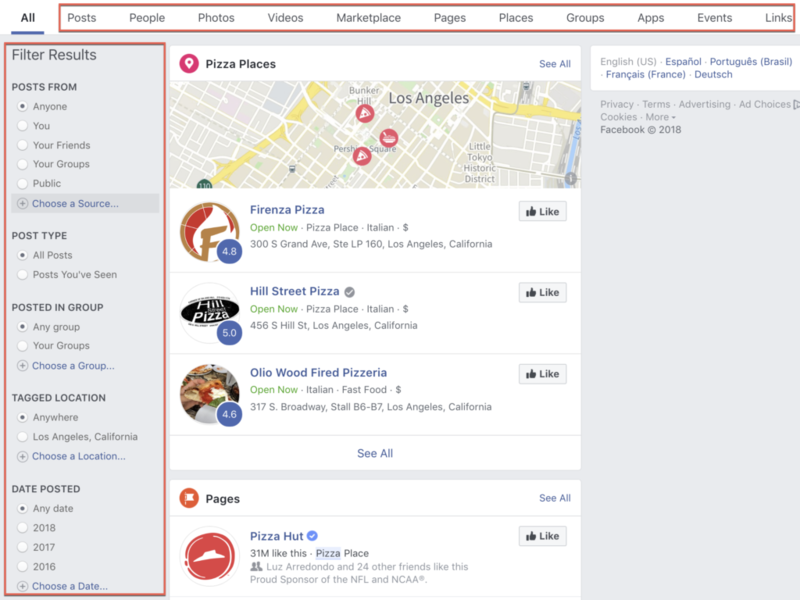 Facebook search exists to help you find content on the platform, whether a person, a post, or a Facebook group. 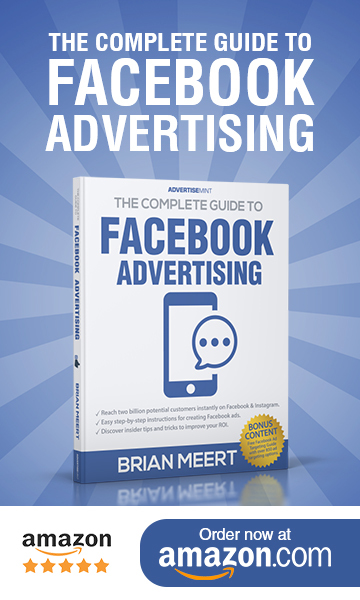 Because the results are limited to Facebook content, your online activity outside of Facebook will not influence the results. When you use Facebook Search, don’t expect the type of results Google will retrieve. And don’t worry, Facebook won’t track your online activity for Search. Facebook will, however, track your online activity for ad targeting.